Wadali Brother are the world famous Sufi singers and their real names are Ustad Puran Chand Wadali and Pyarelal Wadali. They belong to the small village “GURU KI WADALI” near by Amritsar city at Punjab. Wrestling is the Favorite game of Ustad Puran Chand Wadali, so he was a regular in wrestling ring for 25 yrs, and Pyarelal contributed to the meager family income by playing the role of krishna in the Rasleela Village. Ustad Puran Chand Wadali was not interested to learn the music but their father who was known by the name of Thakur Das forced him to learn music. 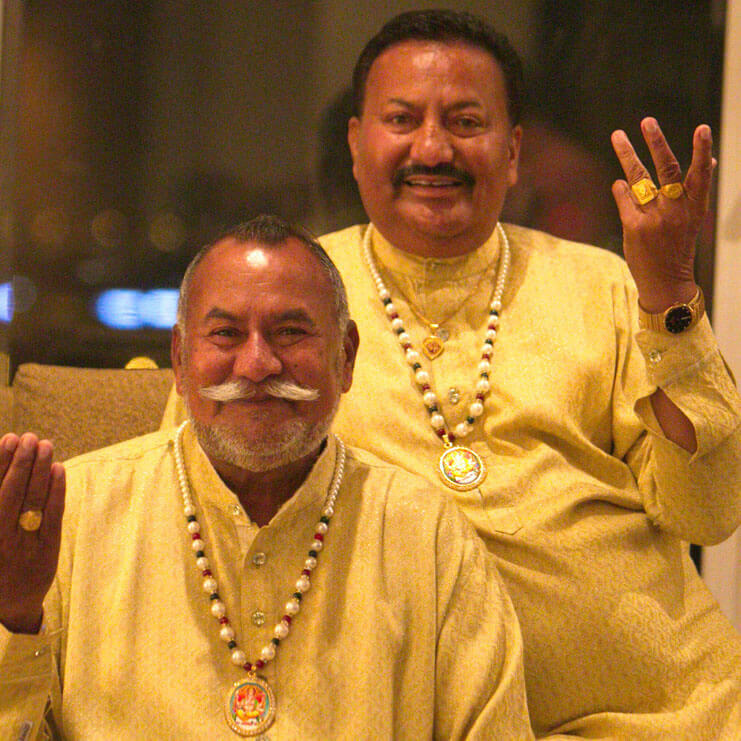 Puran Chand Wadali was the elder son of their father. So they started their music study from Pandit Durga Das and Ustad Bade Ghulam Ali Khan which belongs to Patiala Gharana. When they started learning music then they also started giving the training to their brother Pyarelal wadali, whom the pyarelal wadali considers his mentor and Guru still today. The first performance of their life was in the Harballabh Temple which was situated in the Jalandhar City. In 1975, the duo went to Jalandhar to perform at the Harballabh Sangeet Sammelan but was not allowed to sing because their appearance did not pass muster. The Wadali Brothers show their singing performance in the Gurbani, Kafi, Ghazal and Bhajan Genres of Music. They live in their ancestral house in Guru Ki Wadali. They believe in the Sufi tradition deeply and in free atmosphere as homage to the divine one. They mostly avoided using the electronics gadgets in their music. For their beautiful performance, they were awarded with Sangeet Natak Akademi Award in 1991, Tulsi Award in 1988, Punjab Sangeet Natak Akademi Award in 2003 and the most famous award is Padam Shree Award by the Government of India to the Ustad Puranchand Wadali in 2005.